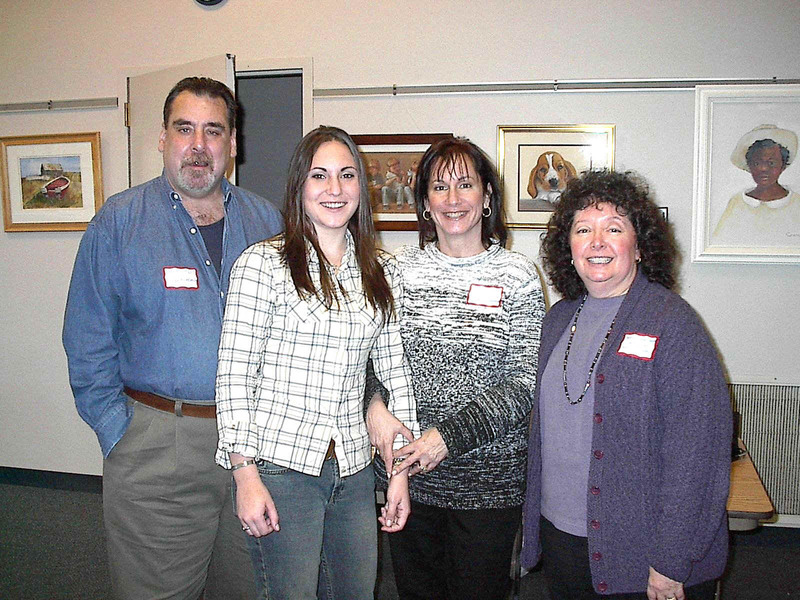 The first meeting of the Monmouth / Ocean branch of the Central New Jersey Brain Tumor Support Group was held on November 8, 2003 with 29 survivors, caregivers, family members attending. 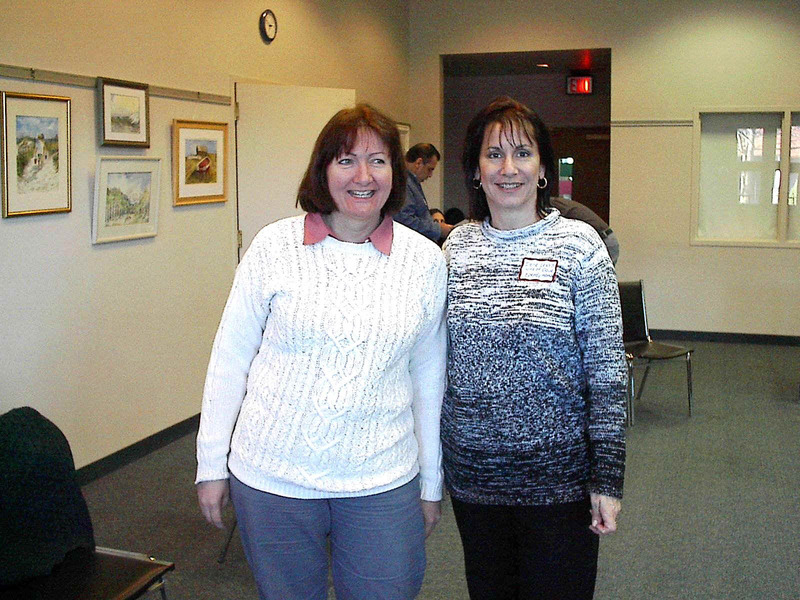 The group has been started by Nancy Conn-Levin and Ilene and Dave Lewis and they will be the group moderators. They have done an excellent job of starting this support group which is needed very much in the NJ Shore area. I think it was about 4 months from the time they first proposed starting the group until the first meeting. They have done a fantastic job of getting the word out to the brain tumor community in the Monmouth and Ocean County. Nancy is a health educator, a meningioma survivor, the List Facilitator of the Meningioma online support group that is run by The Healing Exchange BRAIN TRUST and a director of the BRAIN TRUST. Dave is an ependymoma survivor and Ilene is the List Facilitator of the Ependymoma online support group that is run by The Healing Exchange BRAIN TRUST. 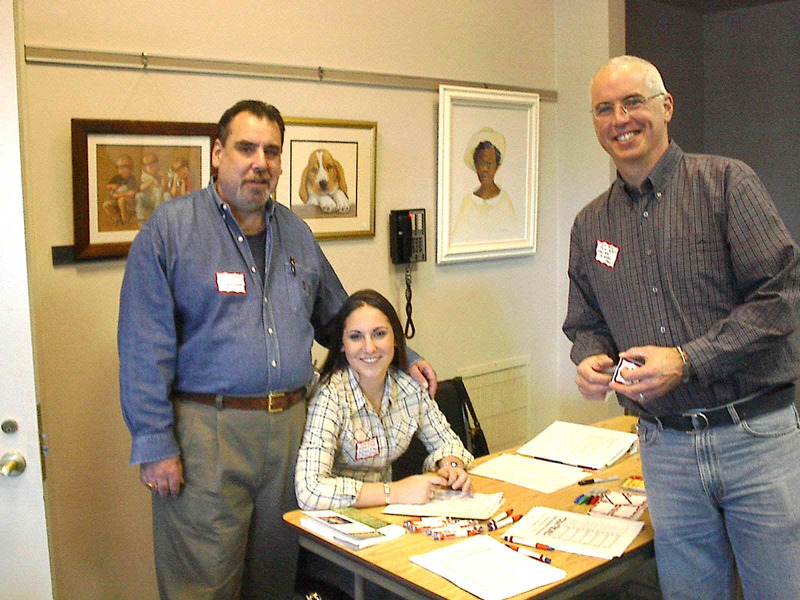 Their daughter, Rita, a student at Rutger's University and their son, Jeff, a student at Pace University are also helping with the group when they are home on meeting days..
We congratulate Nancy, Ilene and Dave for a great beginning of the Monmouth / Ocean branch of the Central NJ Brain Tumor Support Group. Patty Anthony, Beth Scheiderman and Virginia & Stan Shrodo for the CNJBTSG. 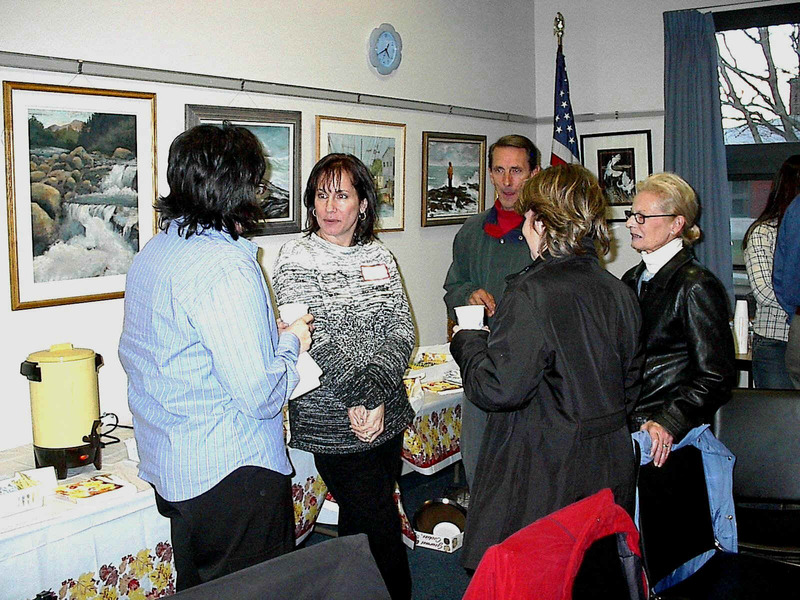 Judy Zocchi (back to camera) and Ilene Lewis talking with group members after the meeting.